Husband's Letters: Dear Wing-woman, thank you for the much needed time away from writing so I could focus on finishing PA school. These past 3 years would have been impossible had it not been for the support, encouragement, sacrifice, and late night laughter you offered. Words cannot express how grateful I am for your love, grace, and perseverance. Dear Fun Things, you feel different now that I don't have a massive test or project looming over my head. Yesterday's test results reminded me that I shouldn't worry about tomorrow because tomorrow will take care of itself. 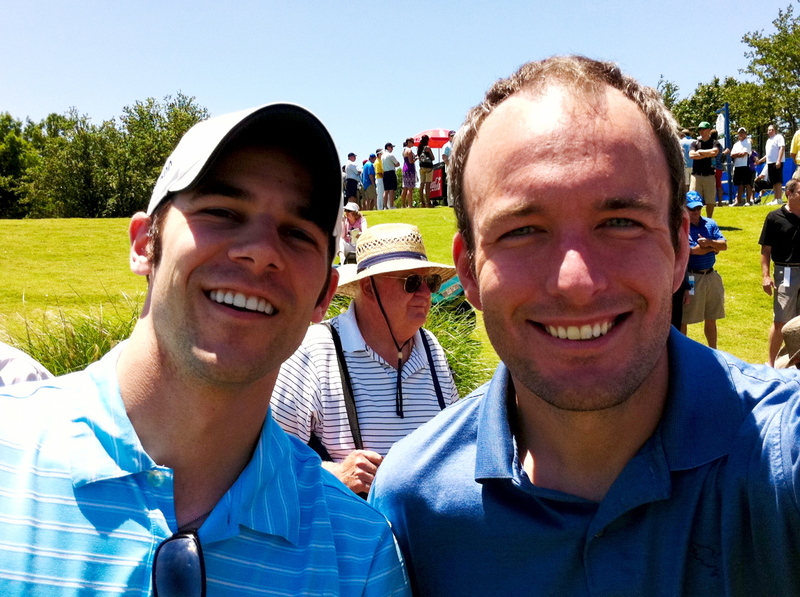 Dear Tyroch, thank you for taking me to the Byron Nelson golf tournament yesterday. Good food, great talent, and beautiful weather was the perfect way to celebrate the passing of my boards. Dear Bride of 6 Years, next week we get some much needed time away. Can't wait to be still together and hold hands with you on the beach! Happy Freakin Weekend, Homies! What or who are you proud of as of late? Be sure and check back later for Fist Pump Friday photos! My friend Becca - we met via Twitter but we are like kindred spirits like we were supposed to be friends - we get on like a house on fire and even though she lives like a two hours drive from me our friendship is awesome. We write letters to each other as it's so much more personal than emails. She's even helping fund raise for the Fountain Bedford project that me and Chris are involved in. AC said she is proud of her Uncle Tim!! Im proud of my baby...just graduated PreK! Top That!HAHA! I'm proud of my five year old - she just graduated kindergarten AND received a second year scholarship to the music conservatory! I also have one graduating 8th grade and one that graduated fifth grade. Actually, I'm proud of all five of my kids - they're amazing! Still not sure how you made it through yesterday without a hat Timo!